How to set up an email signature depending on an email address in Outlook 2013? Setting up your own email signature is not a strenuous task for a single user (please see how to create or modify an email signature in Outlook 2010 and 2013). However, the perplexities may build up if you aim to set up several individual signatures for various email addresses you operate on in the same Outlook client. This entry was posted in Microsoft Outlook 2013 and tagged automatic email signature, email signature, email signatures, end-user email signature, outlook 2013 on August 31, 2015 by Adam the 32-bit Aardvark. In this article I discuss how to work with email signatures in the Office 365 webmail client. To learn how to set up server-level email signatures for an entire Office 365 organization see this article. 1. 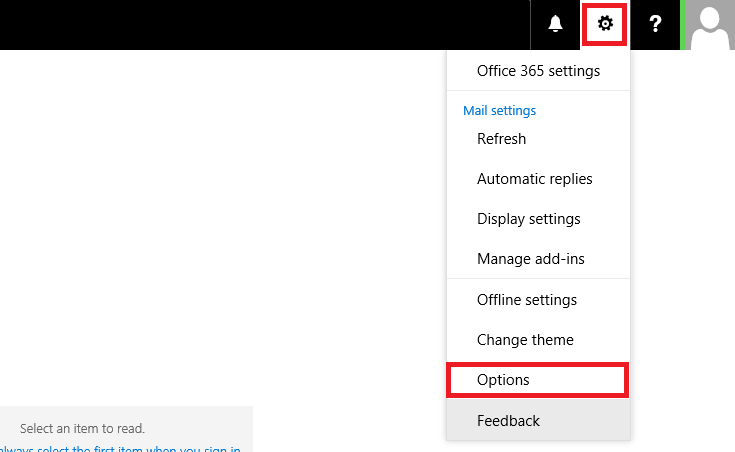 After logging in to your Office 365 account, click Mail in the top menu or in the main panel to switch to Outlook Web App. 2. Click the Gear icon in the upper-right corner and select Options. This entry was posted in Microsoft Office 365 and tagged automatic email signature, email signature management, manually added email signature, office 365, signature editor on July 12, 2013 by Adam the 32-bit Aardvark.